Preheat oven to 160°C (325°F). Grease a 22cm cake tin. Place the butter and sugar in the bowl of an electric mixer and beat until light and creamy. Add the eggs and beat well. Sift the flour, baking powder and cocoa over the butter mixture, add the sour cream and chocolate, and mix until just combined. Pour the mixture into the tin and bake for 55 minutes–1 hour or until just set. Cool in the tin. 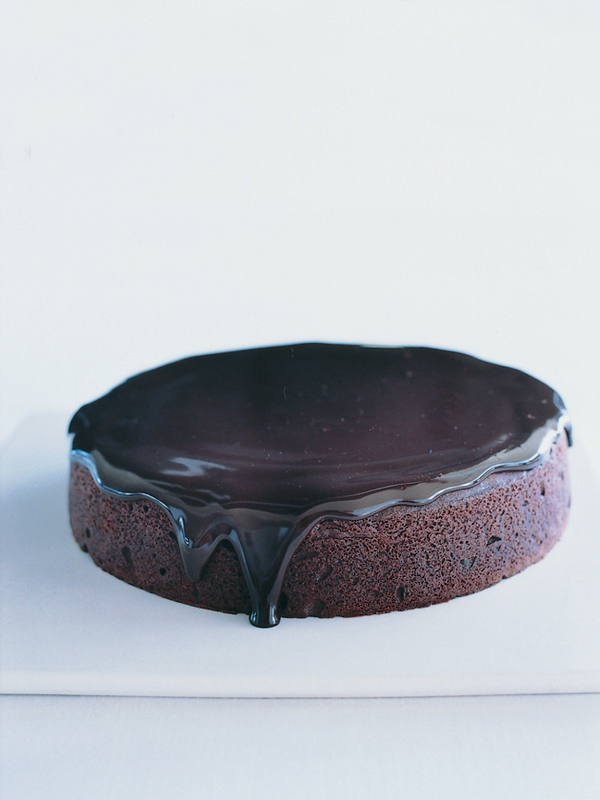 To make the chocolate glaze, combine the chocolate and cream in a saucepan over low heat and stir until smooth. Allow the glaze to stand for 5 minutes before spreading over the top of the cake. Serves 8–10.